AMIYA's ALog ConVerter is a comprehensive, secure server logging solution targeting those businesses and organizations seeking reliable log management. Already deployed by those within the finance and manufacturing industries, but suitable for all, ALog ConVerter enables mid-size to larger enterprise firms to efficiently process a large volume of server log data. Instead of watching individual employee and user activities at client-side, the system uniquely monitors all activities and behaviors from the server side to provide maximum peace of mind. This method not only ensures company data is stored most securely, but also keeps retrieval easy while improving efficiency in a cost-effective way. Particularly useful when it comes to audit trailing and tracing when, where and how server-side data is being accessed, Alog ConVerter also supports compliance regulations with vital reporting tools. By centralizing log collection and aggregation, server data records are persistently archived successfully and made accessible to authorized administrators. Such features are not only beneficial for securing data and tracking usage, but also in the analysis of real time server performance, capturing error logs, exceptions and more to guarantee uptimes. There are currently no reviews of ALog ConVerter. Contact the ALog ConVerter team via their website to request more information and pricing. ALog ConVerter is a server log and management solution by AMIYA that features a unique engine for the efficient monitoring of server-side data activity and performance, rather than watching the activities of individual client-side users. Suitable for all businesses seeking trusted log management capabilities, ALog ConVerter promises to support the secure storage of personal records, trade secrets and financial information by providing detailed server records pertaining to all these files. Server-side monitoring promises to be the best method for keeping data protected while continuing to make data retrieval easy, and management cost-effective. Centralized server log collection and aggregation supports essential audit trail processes necessary when ensuring compliance with stringent data standards. Analyze logs for erroneous activity, performance spikes, exceptions and errors to get a valuable overview on server status when guaranteeing uptime or proactive, responsive maintenance. Below are some frequently asked questions for ALog ConVerter. Q. What type of pricing plans does ALog ConVerter offer? Q. Who are the typical users of ALog ConVerter? Q. What languages does ALog ConVerter support? Q. Does ALog ConVerter support mobile devices? Q. Does ALog ConVerter offer an API? No, ALog ConVerter does not have an API available. Q. What other apps does ALog ConVerter integrate with? Q. 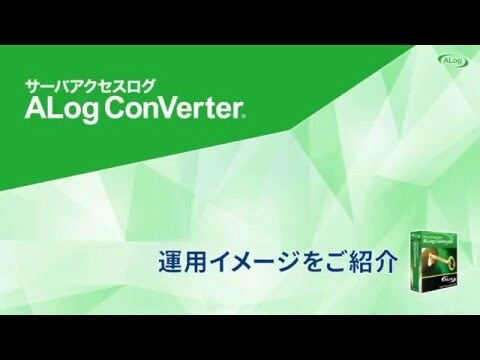 What level of support does ALog ConVerter offer?